We've been planning to have a Durian Party over the weekend, but we moved it on Monday, sixth of October because it's a HOLIDAY. It's the Feast of the Sacrifice or Eid al-Adha celebrated by Muslims worldwide each year, a festival that denotes an act of submission to God's command. Going back to our plan Durian Party, we decided to do it during the Holiday. In the Feast of the Sacrifice imply us to SHARE what we have. 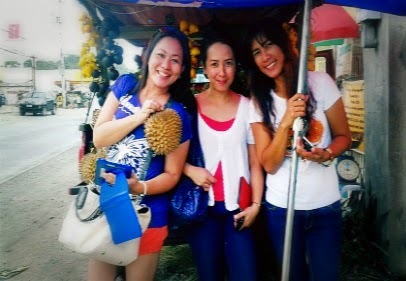 So we went to Cabantian, Buhangin still part of Davao City, here we will find many durian merchant which sells durian on their multicabs, some put it on a basket or some in their TRISIKAD along the road. A typical durian stall can be seen at Magsaysay Park, wherein lots of fruits are being displayed. 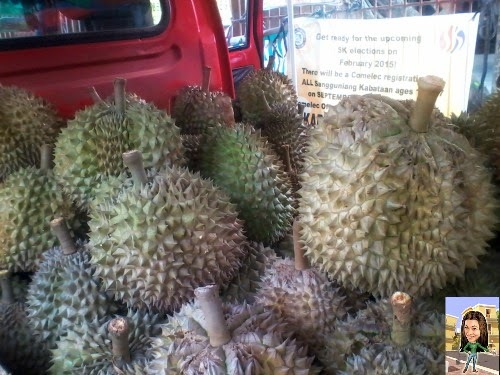 Still Durian season here in Davao(durian season start in August and end by October). 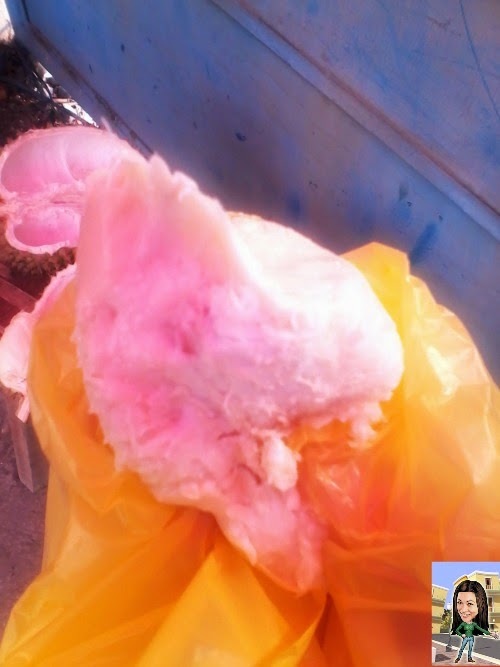 You can find it also at the supermarket, roadside stall or even a pick up/multicabs. 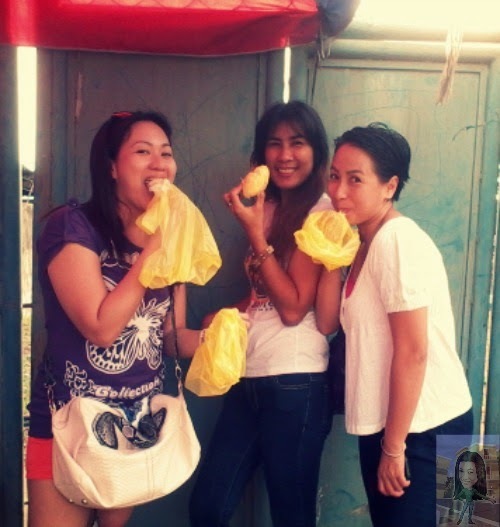 We purchased two varieties of a durian, PUYAT and ARANCILLO. 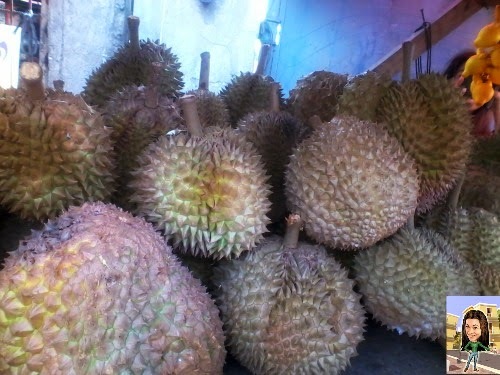 ARANCILLO is the oldest varieties of durian here in Davao City. 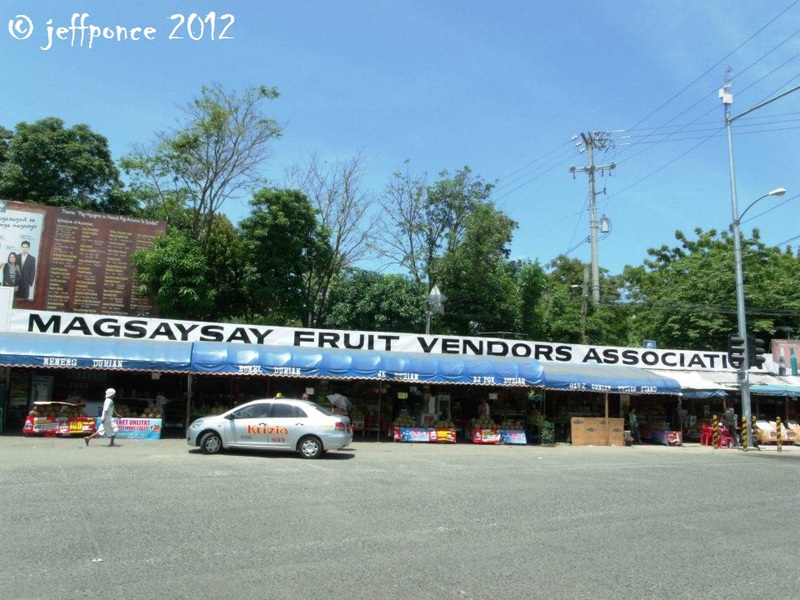 Named after the former BPI-PhilFruits Director Vicente Arancillo. 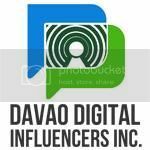 Considered the best variety of Davao durian because it has a milky and delectable taste, it is like your drinking a milkshake or a smoothies. 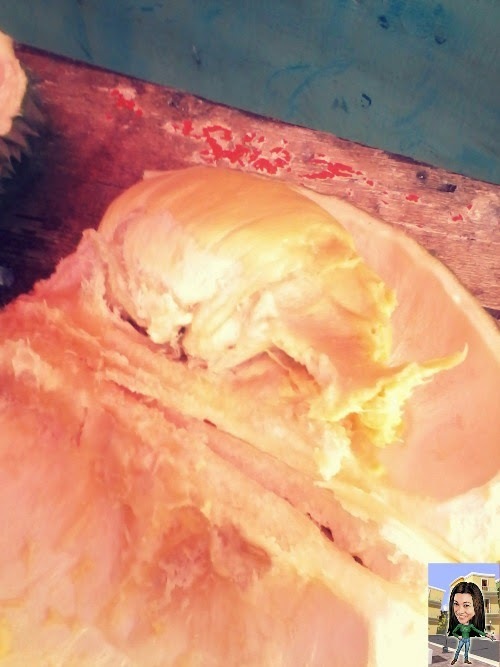 PUYAT it looks like an over riped durian because of its golden yellow color. 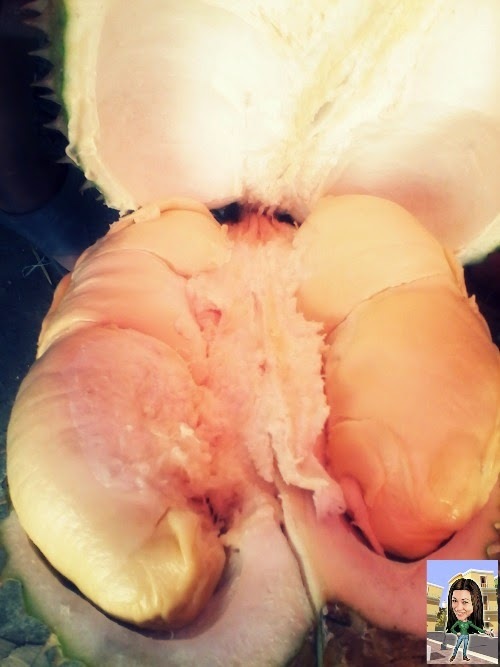 A deliciously creamy and very sweet yet mild scent durian with a floral coloration. Mysterious Fruits maybe because of the health benefits it gives us. Here you only need to stand up while eating your durian. BIG MOUTH for our DURIAN! We used biodegradable plastic cellophane in holding our durian pods to spare us from the stinky smell. Though durian received mixed reviews, considered it a delicacy or nuisance because of its strong pungent odor, but the durian flesh taste so great that makes you crave for more!